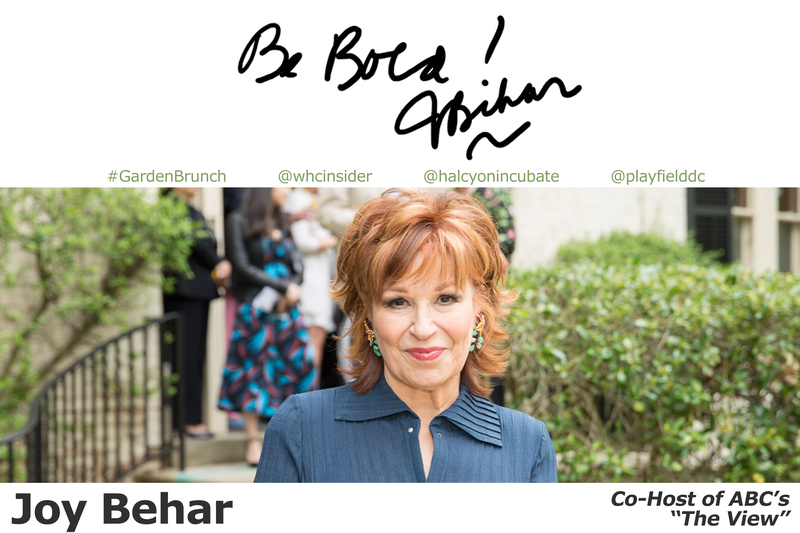 As the stars walked the red carpet at the 24th annual Garden Brunch in celebration of the White House Correspondents’ Dinner Weekend, Volta Insider host Rachel Greenberg was there to interview Hollywood’s biggest stars as well as DC’s media and political elite. 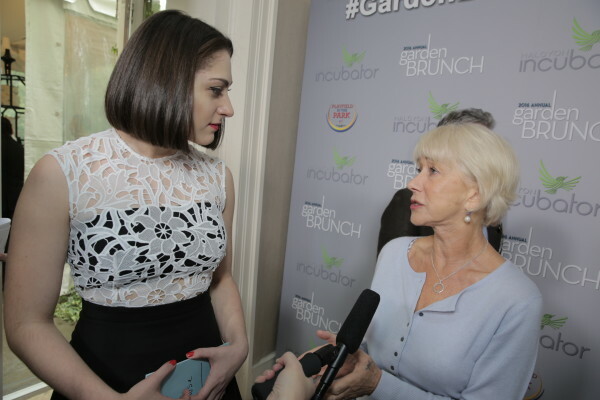 Greenberg spoke with one of the weekend’s biggest stars, Helen Mirren, about the White House Correspondents’ Dinner weekend and her legendary career as an actress. 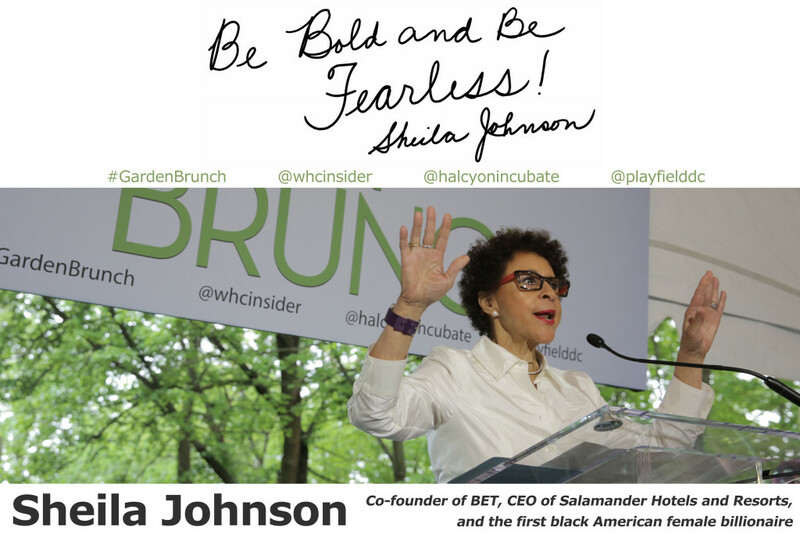 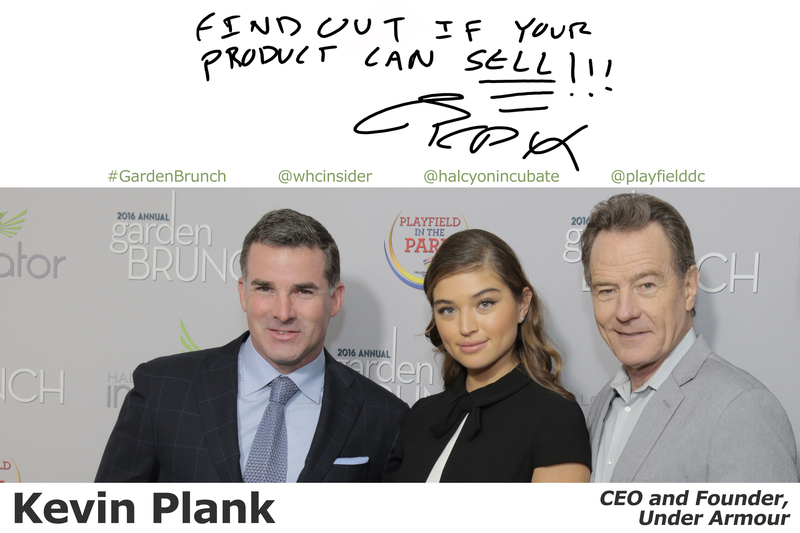 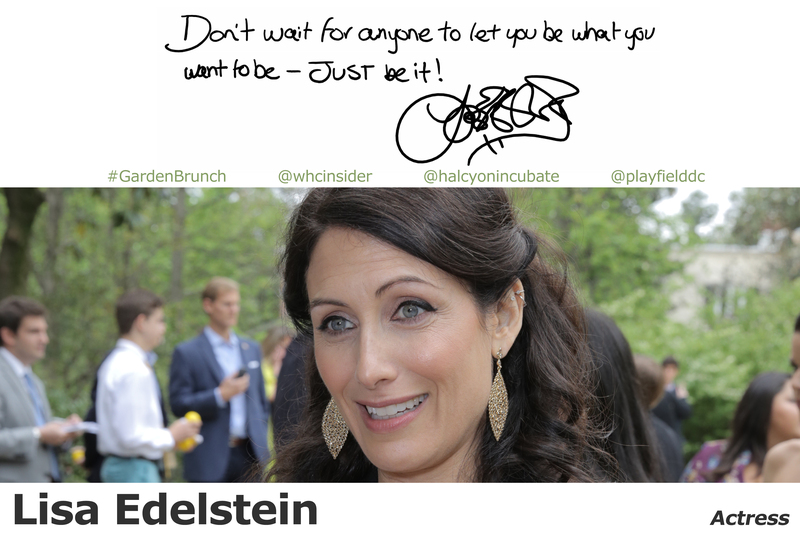 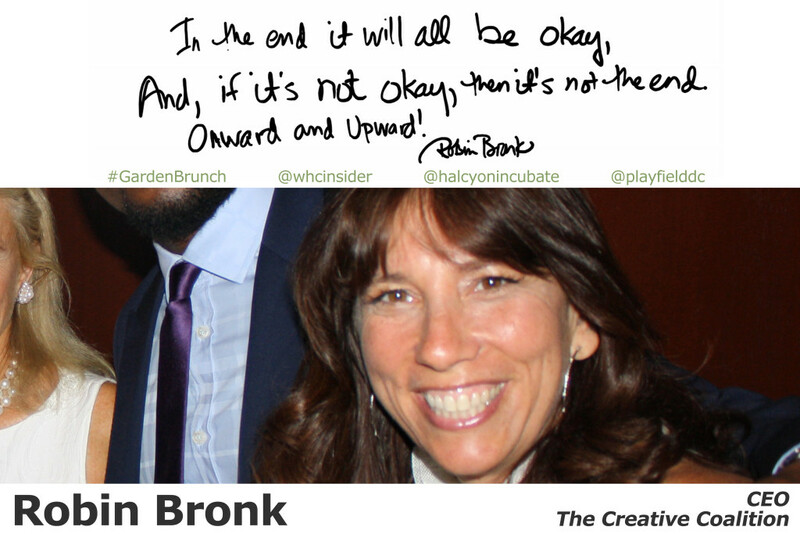 This year’s Garden Brunch theme was “Starting up, starting out”, and Greenberg got a chance to ask the stars for their best advice to inspire those to follow their dreams. Greenberg also talked politics with a number of actors who play powerful Washington leaders such as “Scandal”-star Tony Goldwyn, who plays President Fitzgerald Grant in the ABC show. 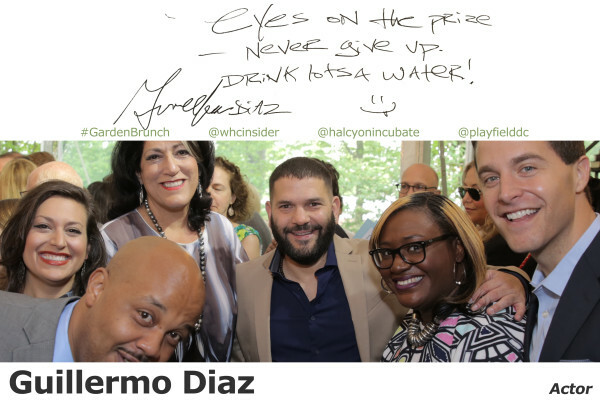 “The only way that anything gets done is if every person engages on a grassroots level, acts locally, and gets in the habit of service and engagement in our process,” he says. 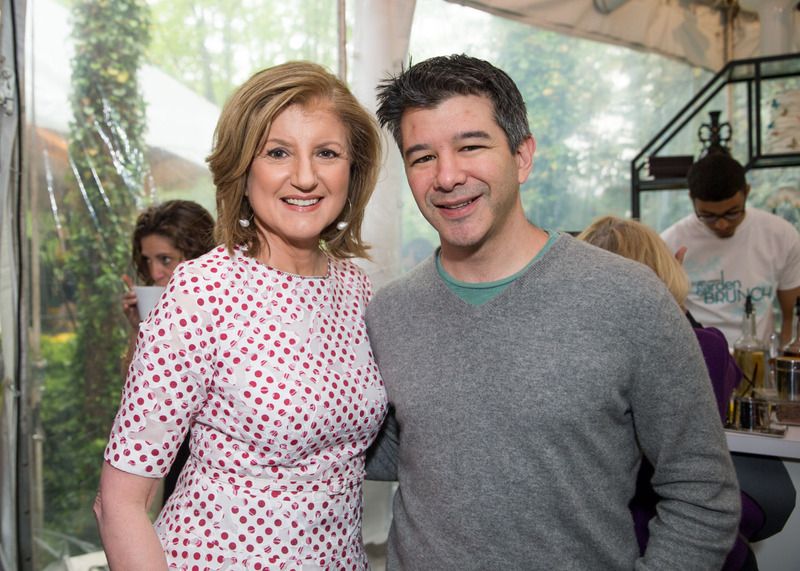 Watch the full report from Volta Insider at this year’s Garden Brunch here. At the annual White House Correspondents’ Weekend Garden Brunch, Volta Insider‘s Rachel Greenberg interviewed media notables, Hollywood stars, and leaders from the business and non-profit sectors as they arrived at the event. Several big names shared the best advice they’ve ever received or given, as well as their insights about the upcoming election, including Helen Mirren, Bryan Cranston, U.S. 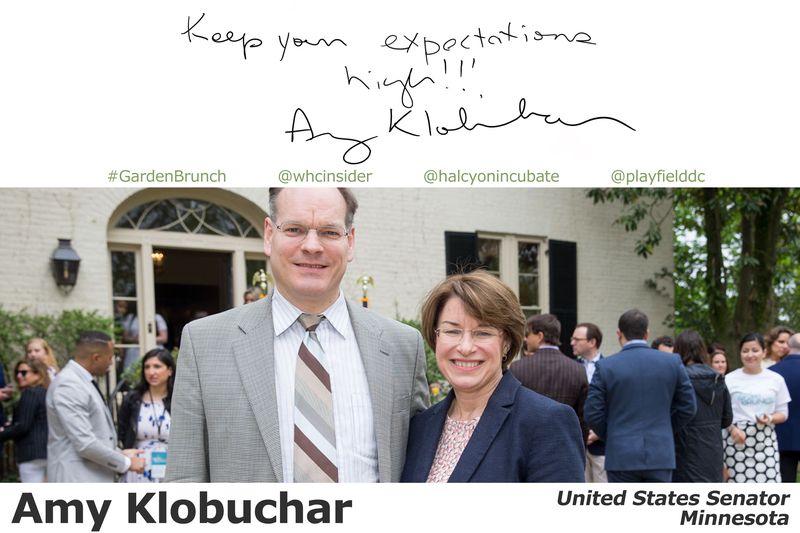 Senator Amy Klobuchar, Cosmopolitan Editor-in-Chief Joanna Coles, Scandal’s Tony Goldwyn, Uber’s Travis Kalanick, Independence Day’s Jessie Usher, Concussion’s Gugu Mbatha-Raw, model Anne V, comedian Grace Parra, The View co-host Joy Behar, actress Candace Cameron Bure, House of Cards’ Michael Kelly, and Scandal’s Katie Lowes. 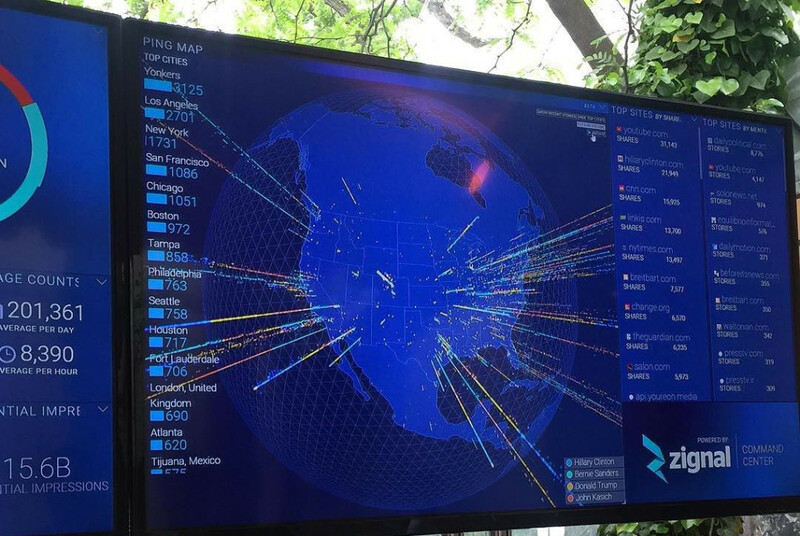 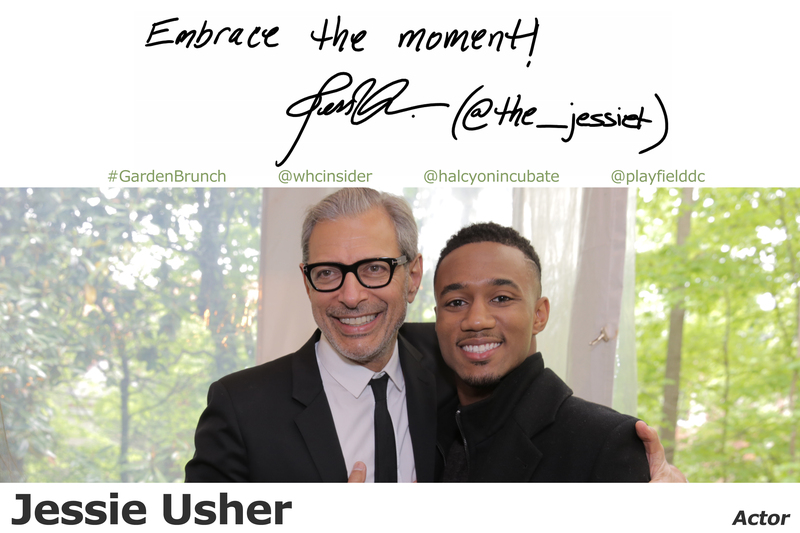 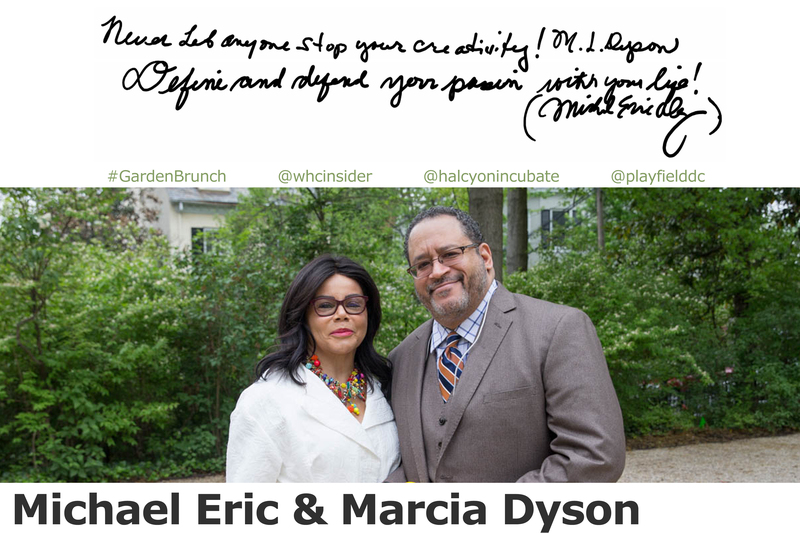 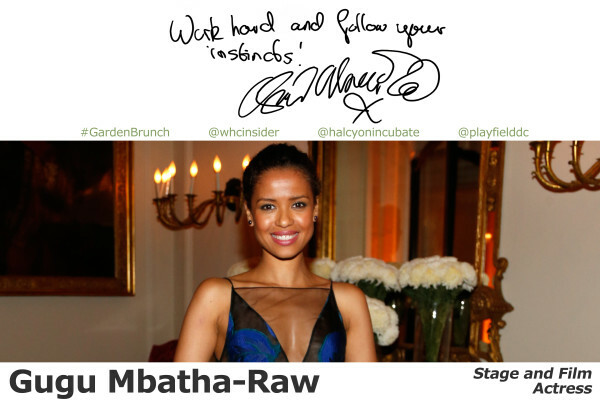 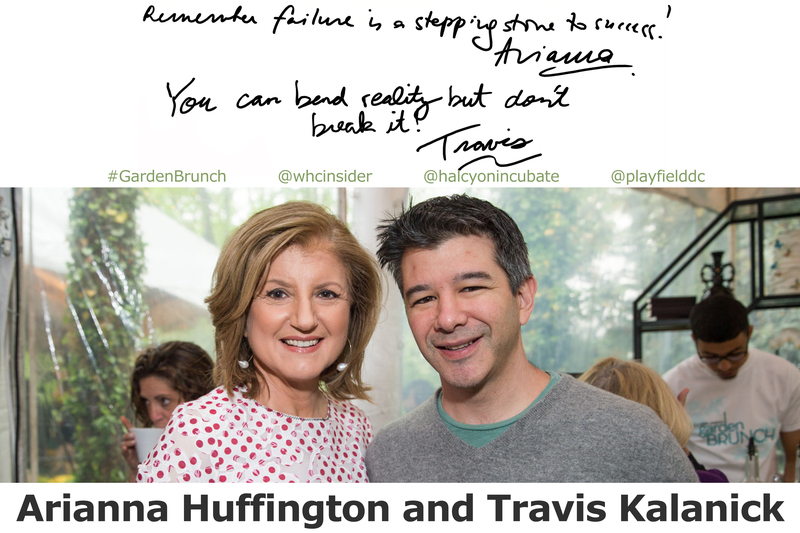 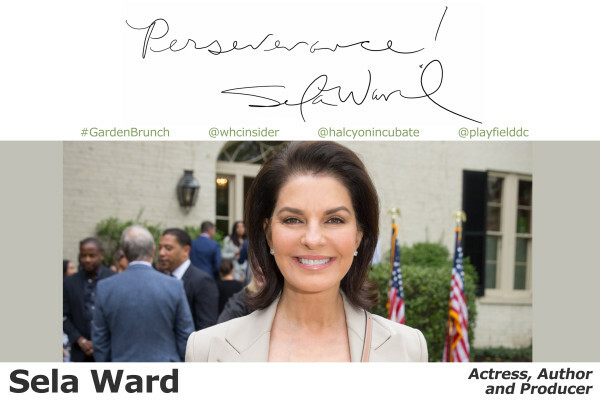 The theme of this year’s White House Correspondents’ Weekend Garden Brunch was “Starting Up and Starting Out.” Brunch guests signed a Microsoft PPI on their way into the event where they provided additional insights and advice to be shared with cohorts from Halcyon Incubator. 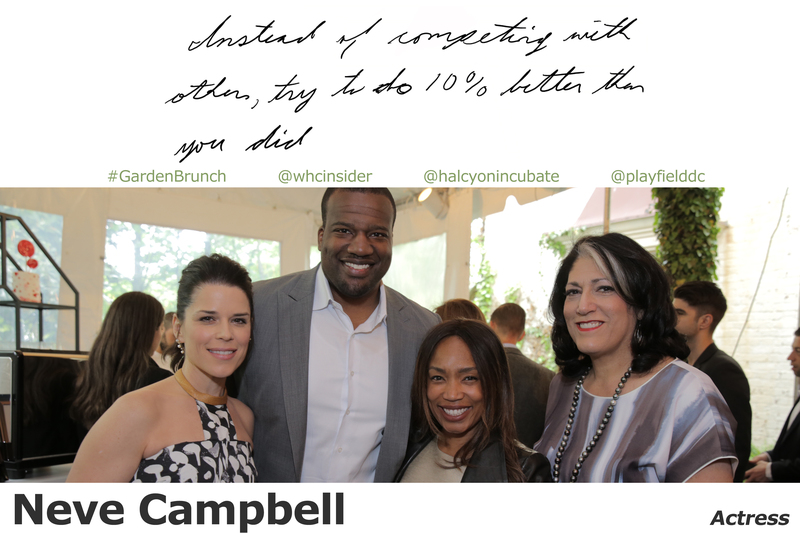 Also in the spotlight at the brunch was Yellow Ribbons United and its #PlayfieldInThePark initiative. 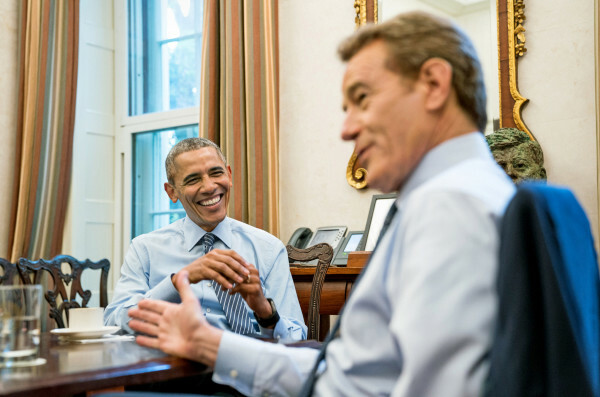 President Barack Obama and Bryan Cranston, who reprises his Tony Award-winning role as President Lyndon B. Johnson in the upcoming HBO Films presentation of All the Way, joined The New York Times‘ Philip Galanes for a Table for Three conversation at the White House on the eve of the 2016 White House Correspondents Dinner. The candid conversation covered topics from the impact their childhood has had on their roles as parents to the experience of being a celebrity and raising a family in the spotlight. Obama and Cranston also discussed how the ability to tell a story is important to both of their careers. 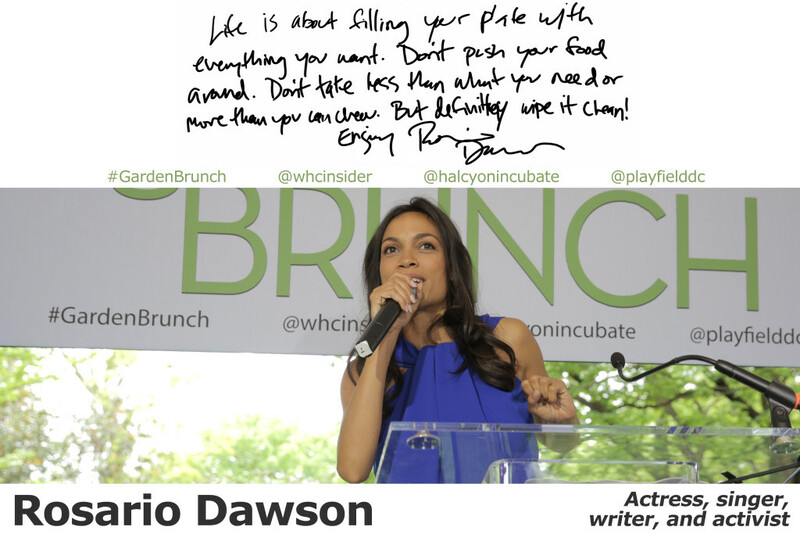 “When I set out to be an actor, I just wanted to tell stories. The fact that great fortune came and allowed me to become famous is almost a distraction from what I wanted to do,” said Cranston. 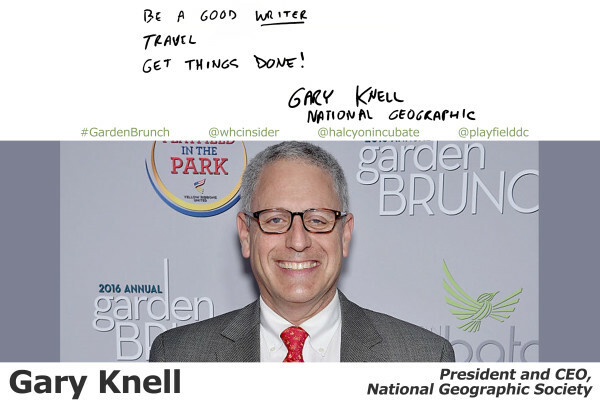 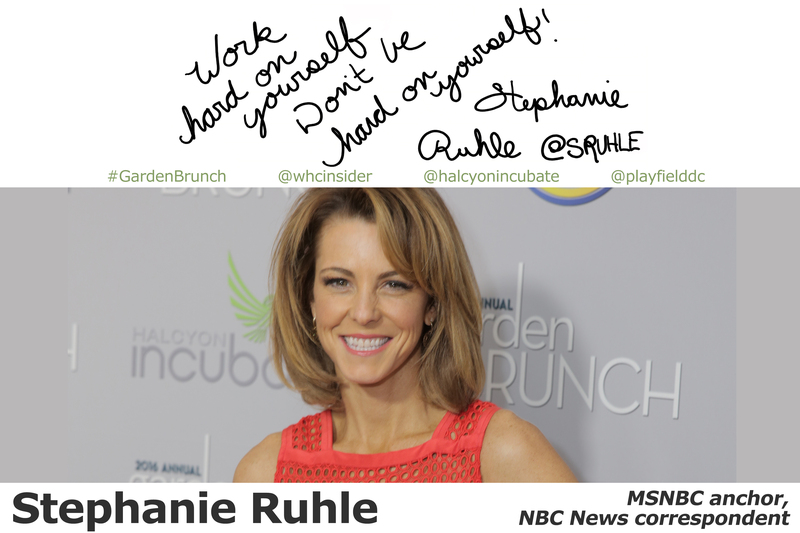 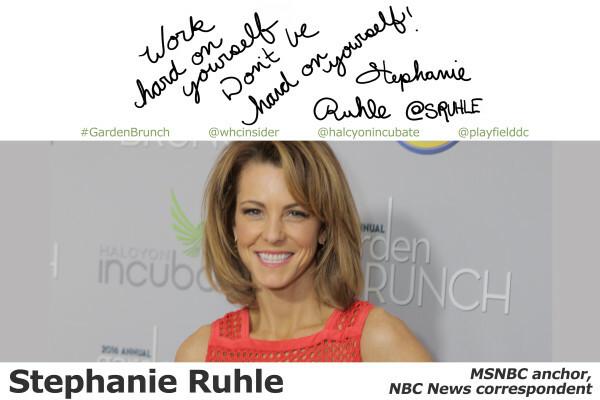 As guests arrived at the 2016 White House Correspondents’ Garden Brunch, they were asked to share their advice for individuals who are seeking to launch a new career and change the world. 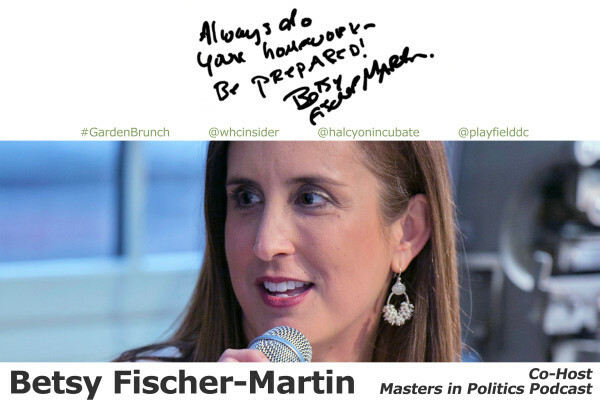 Scroll through the slideshow for insights shared by successful individuals from business, entertainment, media and politics. 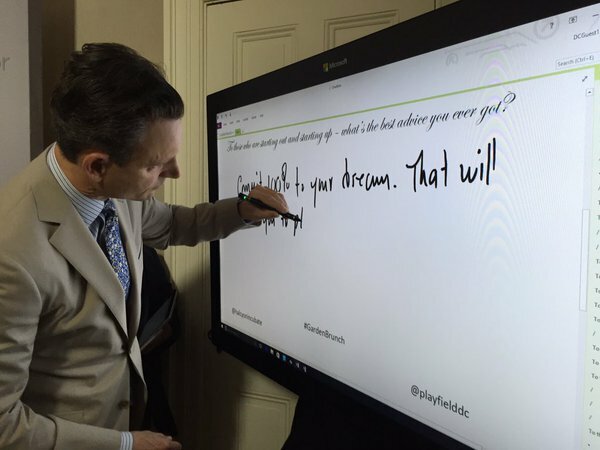 A special thanks to Microsoft for providing the interactive PPI board. 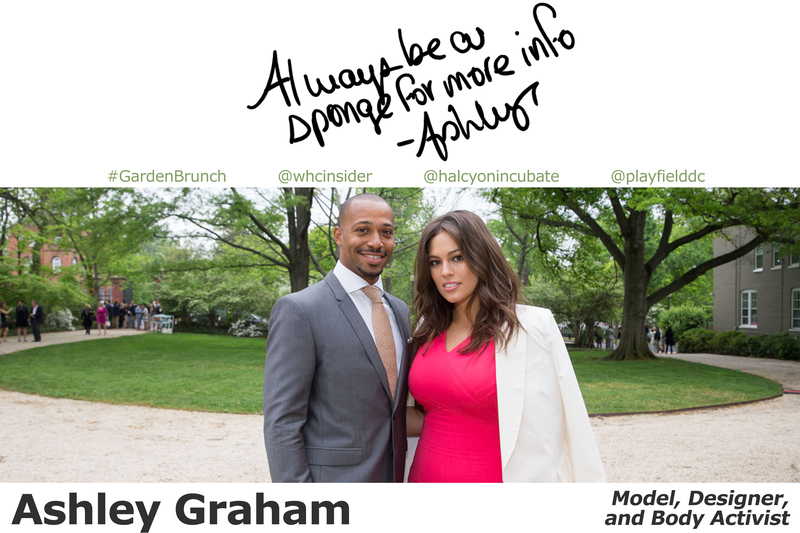 Washington power players made an appearance at the annual White House Correspondents’ Garden Brunch over the weekend. 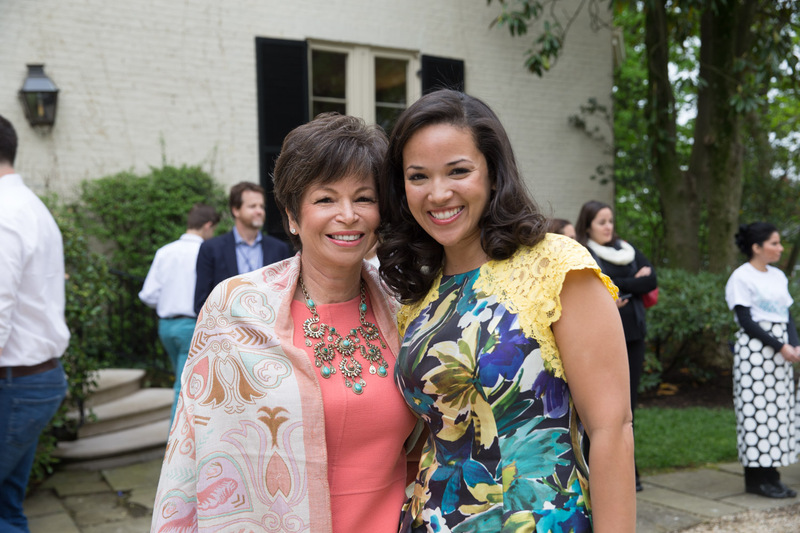 Valerie Jarrett, Senior Advisor to President Barack Obama, attended with her daughter Laura Jarrett. 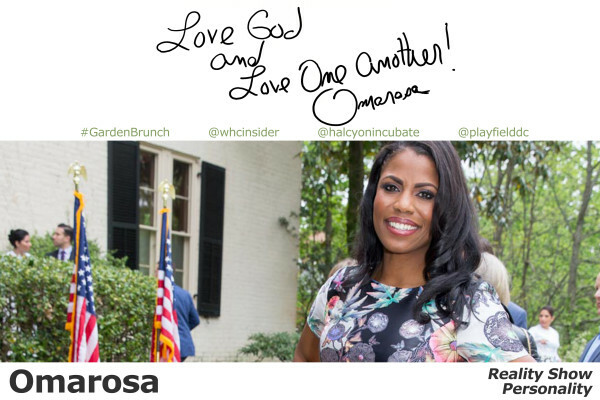 Other members of the White House staff included Tina Tchen, Assistant to the President and Chief of Staff to the First Lady, and Krishanti Vignarajah, Policy Director at the White House. 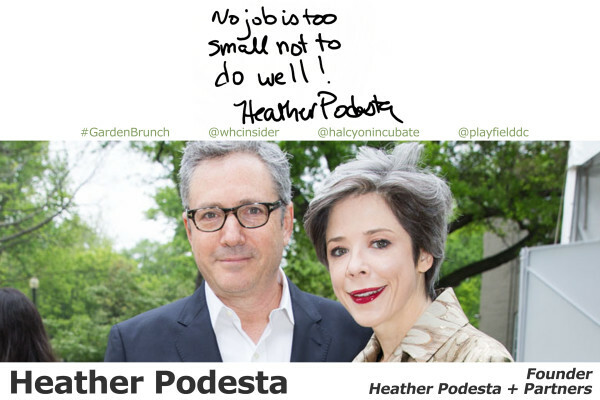 They were joined by Ellie Schafer, Director of the White House Visitors Office and The Most Powerful Person in Washington That You’ve Never Heard Of, according to Capitol File. 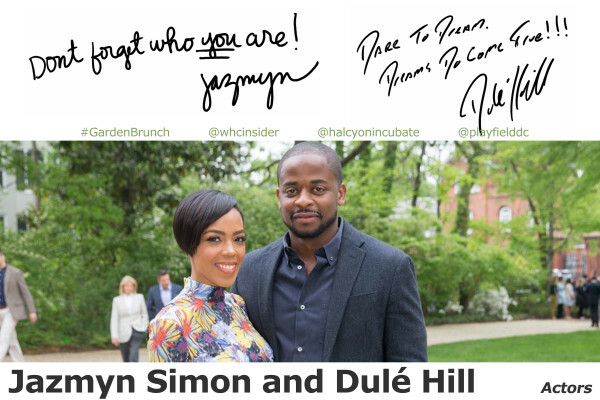 Capitol Hill was also well represented at the brunch. 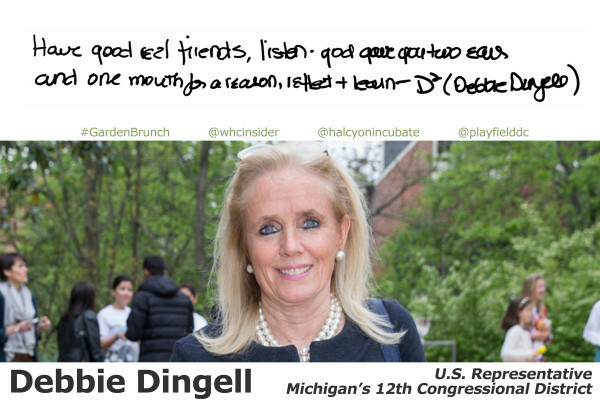 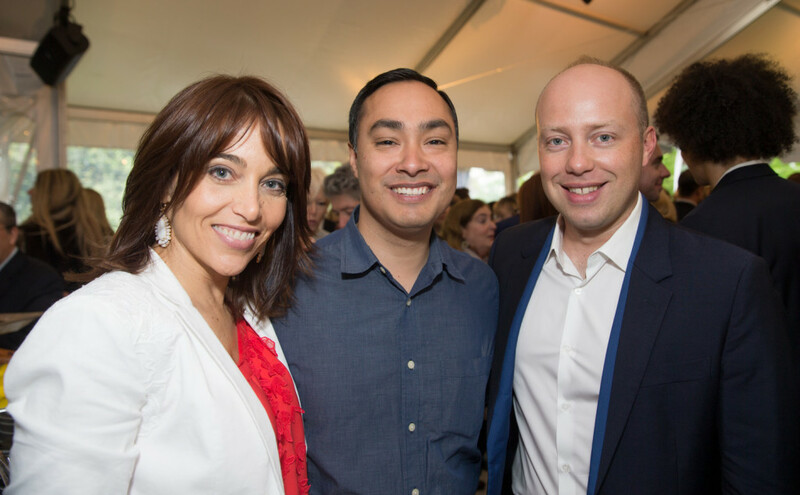 Congressmen from all corners of the country were in attendance, including Representative Joaquin Castro (TX-20), Representative Steve Cohen (TN-09), and Representative Debbie Dingell (MI-12). 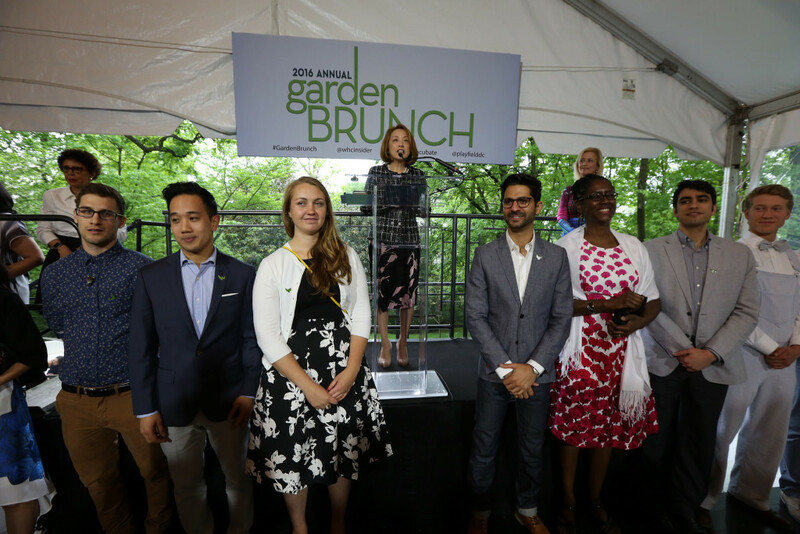 Some of the biggest stars in television who were in Washington for the White House Correspondents’ Dinner stopped by the annual Garden Brunch. 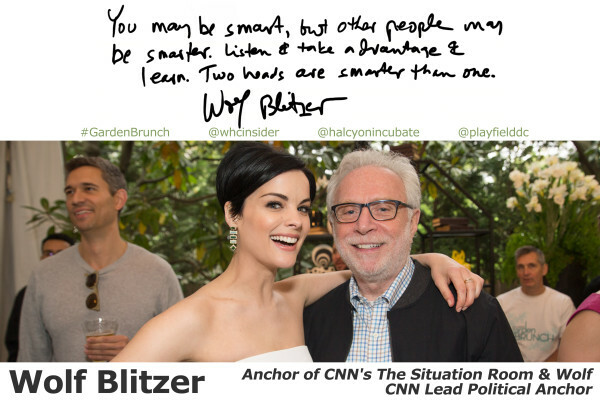 House of Cards favorite Michael Kelly, in a return appearance for Correspondents’ weekend, led the parade of TV stars along with co-star Neve Campbell who recently joined the cast of House of Cards for season four. 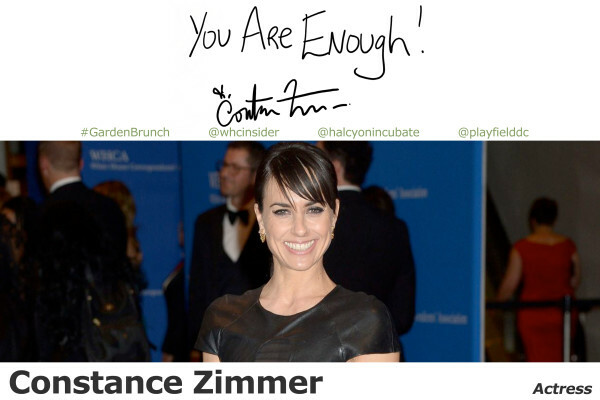 They were rounded out by House of Cards alum, Constance Zimmer, who is also starring in the TV series, UnREAL. 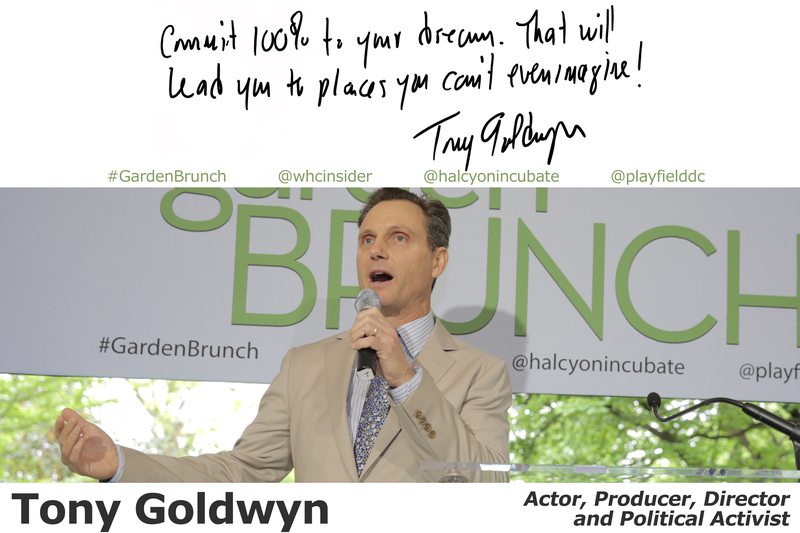 There were three ‘presidents’ in attendance: Scandal’s Tony Goldwyn, Independence Day’s Sela Ward, who plays the first woman president, and Esia Morales from HBO’s The Brink. Television executives were also on hand, from Nina Lederman of All3Media America, Deborah Turness of NBC News, Steve Capus, Executive Producer of CBS Evening News, and Chris Licht, the new Executive Producer of the The Late Show with Stephen Colbert. 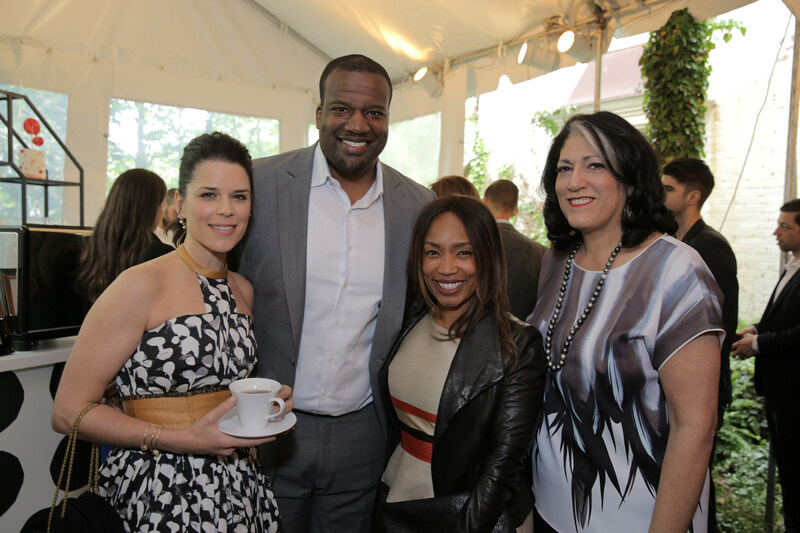 Besides all the TV stars, a few famous faces from the film word were also in town. 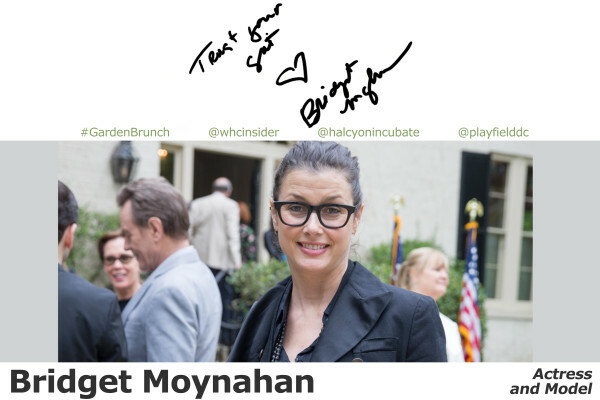 HBO’s film All the Way, which was honored at the HBO-Google party at the Renwick Gallery (voted the best WHCD weekend party by Roll Call readers) was attended by star Bryan Cranston and his wife Robin Dearden, along with Director Jay Roach and HBO Films President Len Amato and Vice President Tara Grace. 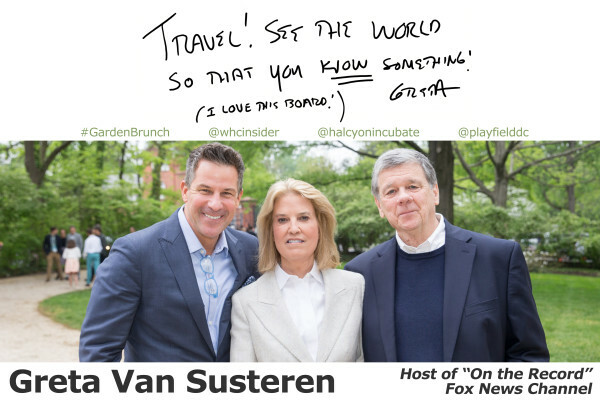 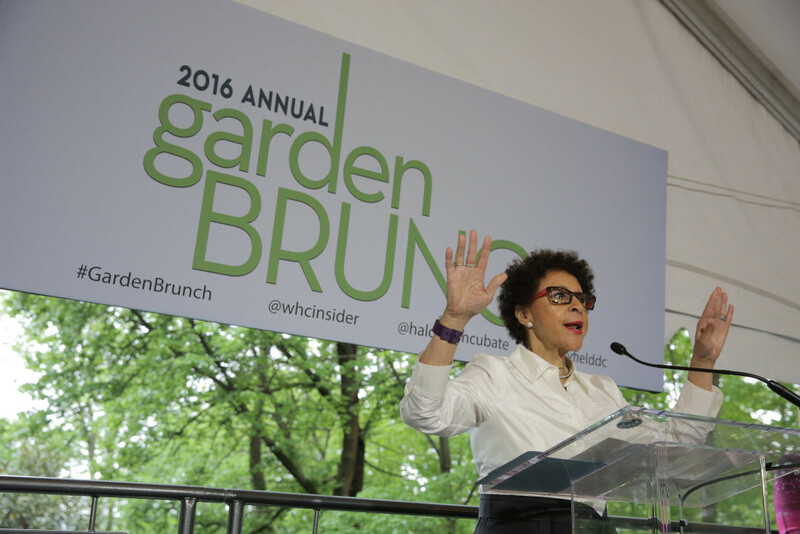 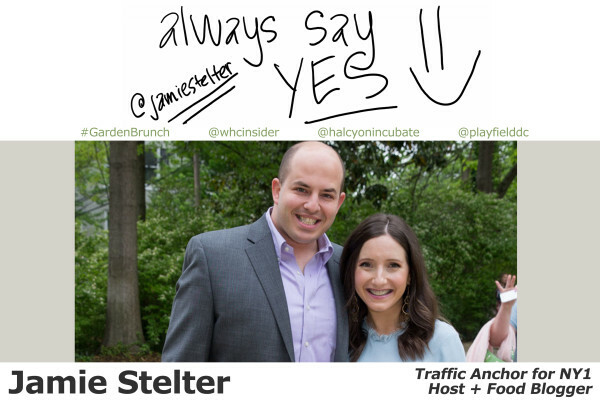 2016 White House Correspondents’ Garden Brunch a huge success! 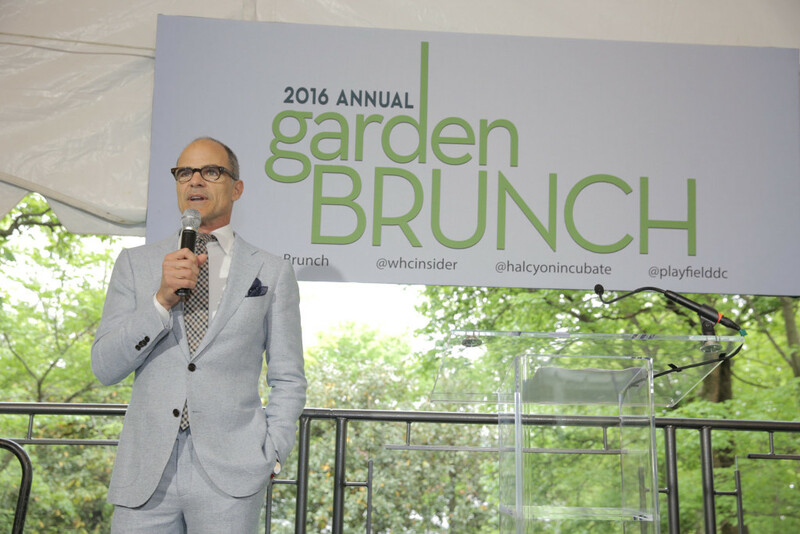 Another White House Correspondents’ Weekend is in the books, and the 2016 Garden Brunch was one of the best yet! 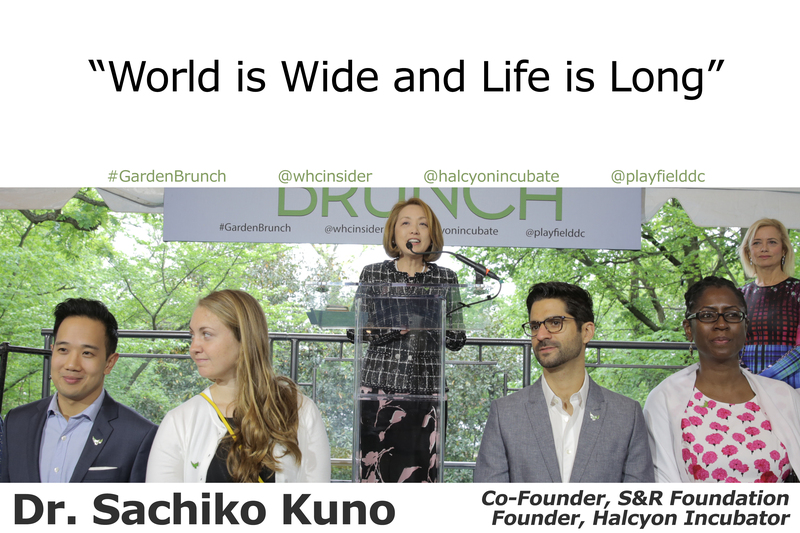 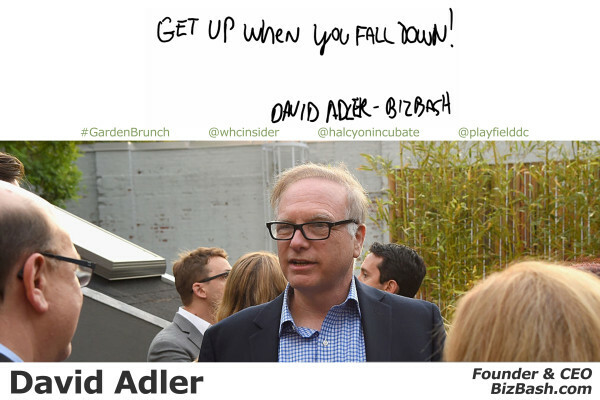 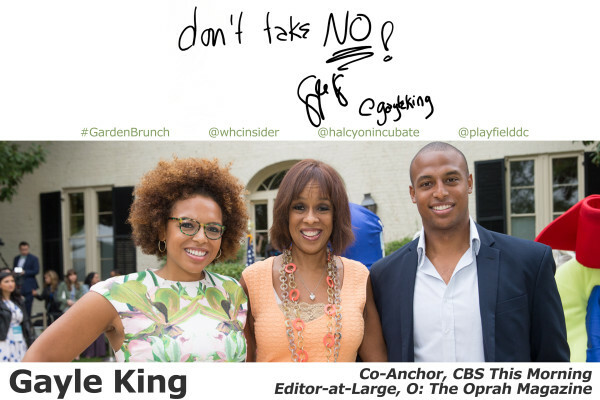 Watch the video from this year’s brunch featuring Halcyon Incubator and Yellow Ribbons United’s #PlayfieldInThePark and pledge to do something. 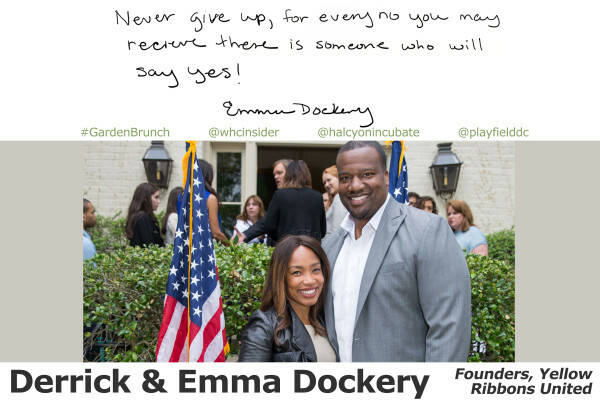 The #PlayfieldInThePark initiative serves approximately 500 children and teens attending the Tragedy Assistance Program for Survivors (TAPS) Good Grief Camp and Honoring Our Heroes Camp over Memorial Day Weekend. 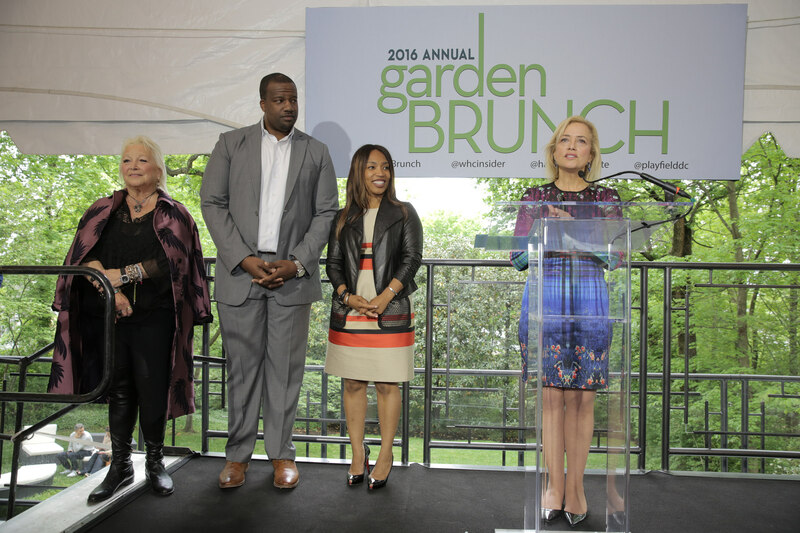 The program was created by Derrick and Emma Dockery, and has recently received the support of Constance Milstein, who was also a co-host of the Garden Brunch. We ask you to visit yellowribbonsunited.org to support the organization and get involved. Also, a big congratulations to Dr. Sachiko Kuno who recently became a United States citizen! 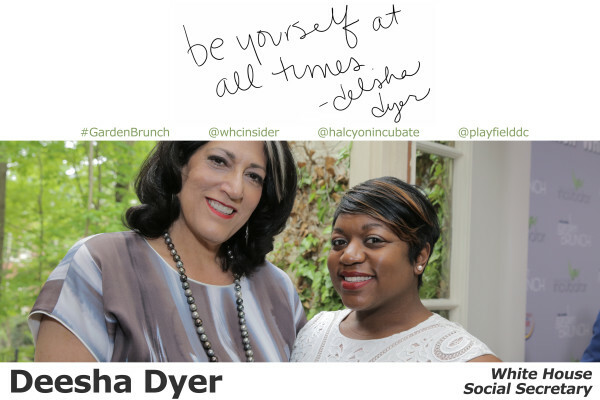 We were so honored to feature the work of the organization she founded, Halcyon Incubator, which is changing the lives of young entrepreneurs who hope to have an impact on the world with their innovations. 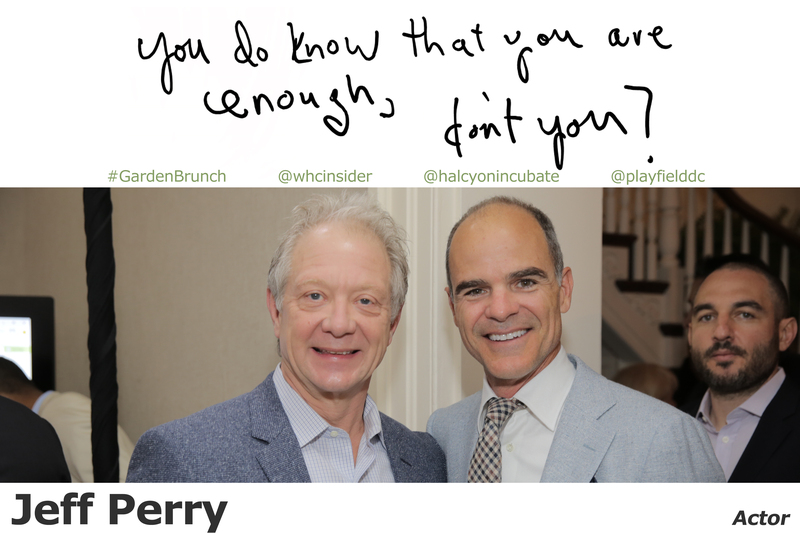 To learn more about the program, or if you know someone who might be interested in applying to be part of a future cohort, visit their website at halcyonincubator.org. 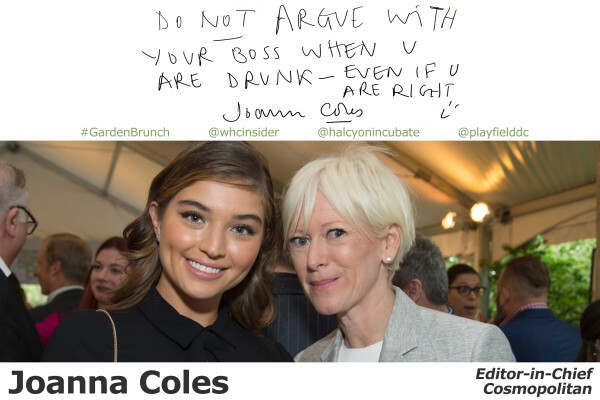 The Vanity Fair/Bloomberg White House Correspondents’ Dinner after-party, held this year at the French ambassador’s residence, was – as always – one of the hottest and most glamorous tickets in town. 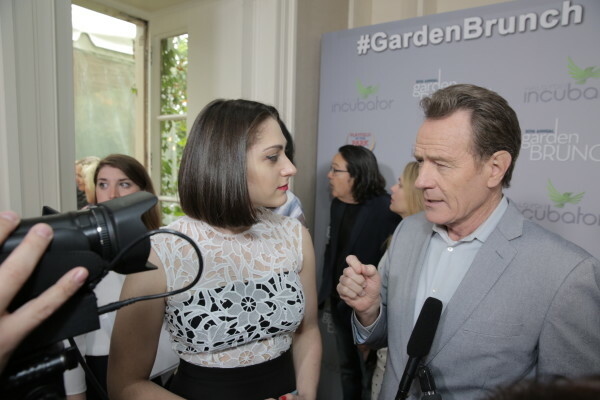 Google, HBO and the Smithsonian American Art Museum partnered on Friday night for a White House Correspondents’ Weekend party to celebrate HBO Films’ “All the Way.” Actor Bryan Cranston and Director Jay Roach were the featured guests. 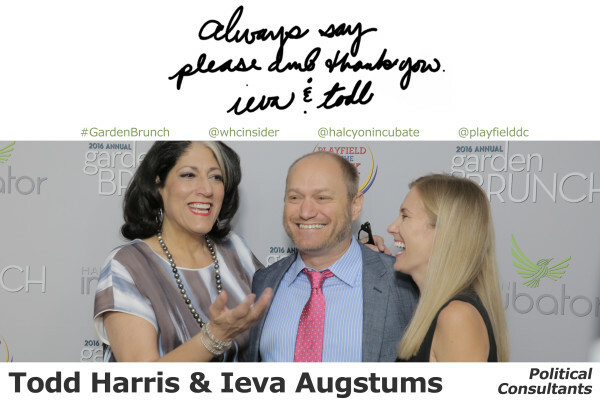 And if Bryan Cranston and Helen Mirren are having this much fun, you know it was a great party. Thank you, HBO and Google!